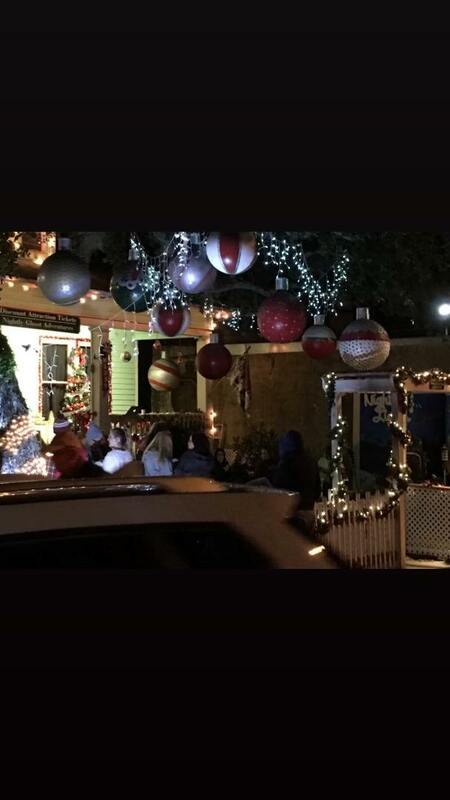 St Augustine's Famous Nights of Lights is not currently available. 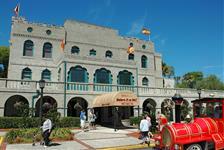 Check out our other great St. Augustine Attractions. 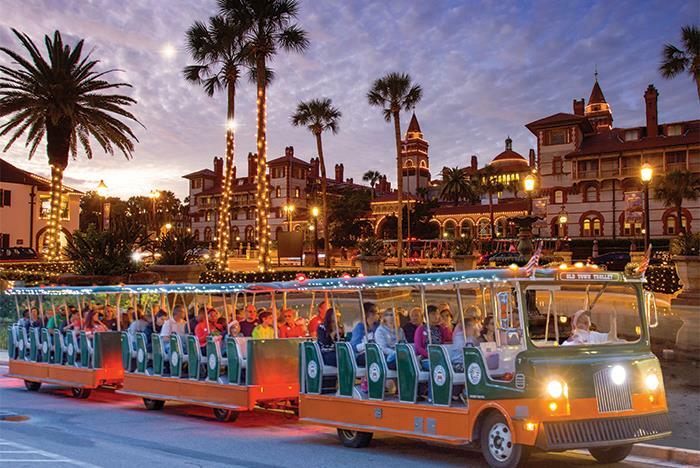 Experience St. Augustine’s Night of Lights tradition with an immersive trolley tour. 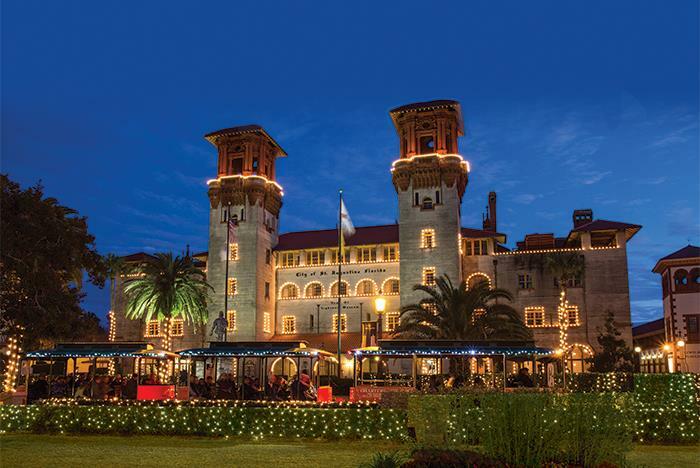 As you navigate St. Augustine via a trolley, you’ll stare in awe at the award-winning light displays, hum along to Christmas carols, and take in the glow of the city at night. Complimentary viewing glasses are also included. 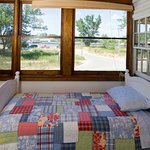 Tours operate nightly through January 31st and depart every 10 to 15 minutes. 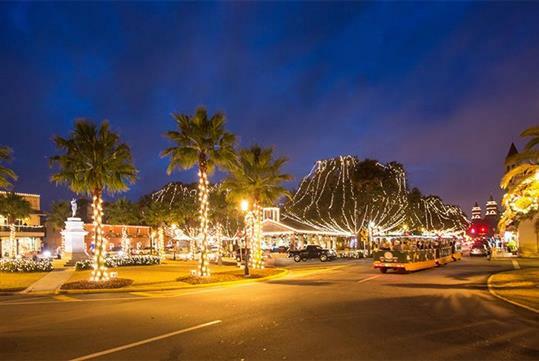 Experience over three million white lights adorning St. Augustine’s Historic District. Complimentary hot apple cider, homemade cookies, and magical viewing glasses are included in your tour. Voted One of the Top 10 “Best Holiday Lighting Displays in the World” by National Geographic. Operates nightly from November 18th-January 31st, from 6:00 pm to 9:00 pm. Trolleys depart continuously ever 10 to 15 minutes. 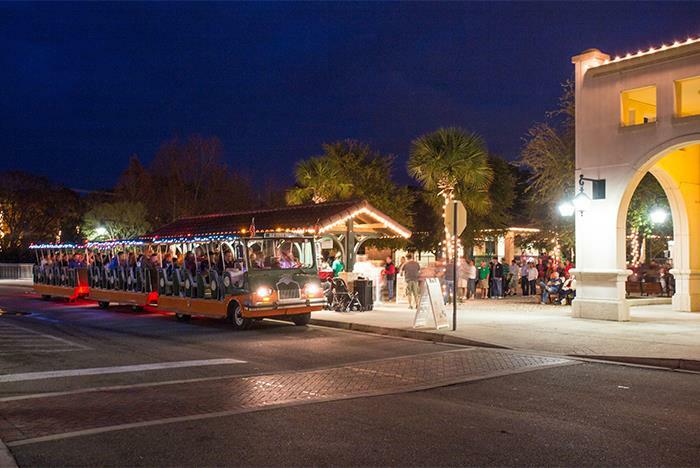 Experience St. Augustine’s 25th Annual Nights of Lights with St Augustine's Famous Nights of Lights trolley tour. Guests of all ages will delight as the award-winning holiday light display dazzles the city with more than three million white lights adorning every corner of the historic district. See the lights twinkle even brighter with your complimentary viewing glasses. 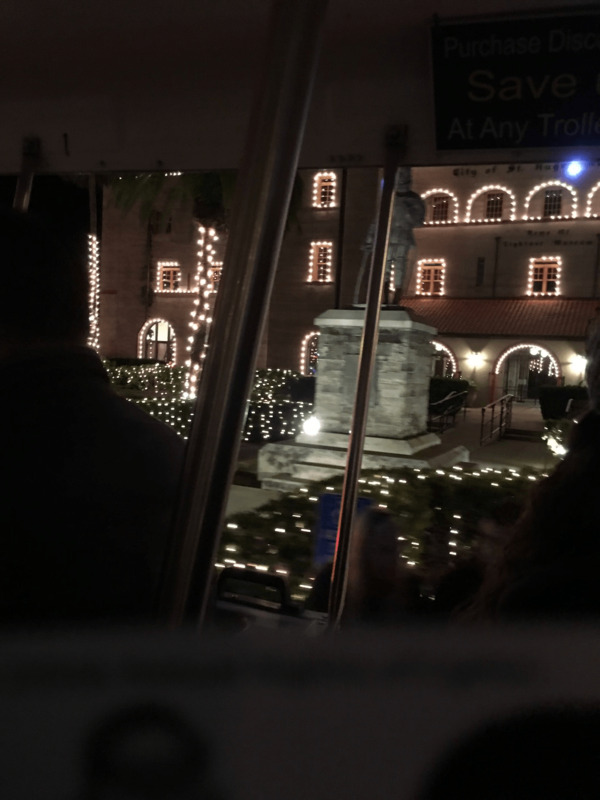 The Old Town Trolleys Famous Nights of Lights Tour is a holiday tradition for locals and visitors alike. 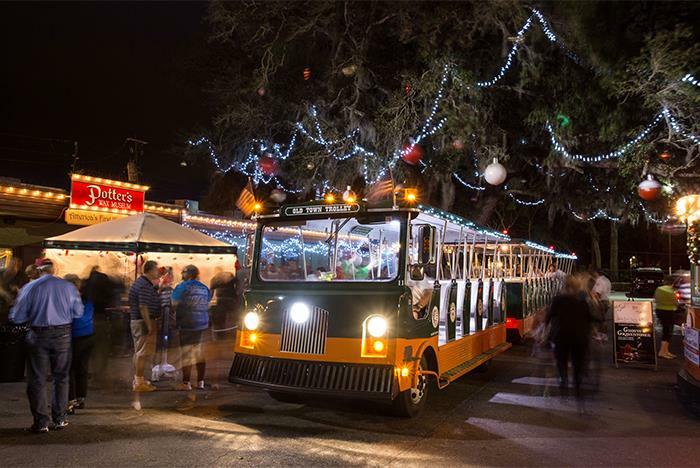 Experience St. Augustine’s 25th Annual Nights of Lights in the cozy comfort of Old Town Trolleys. 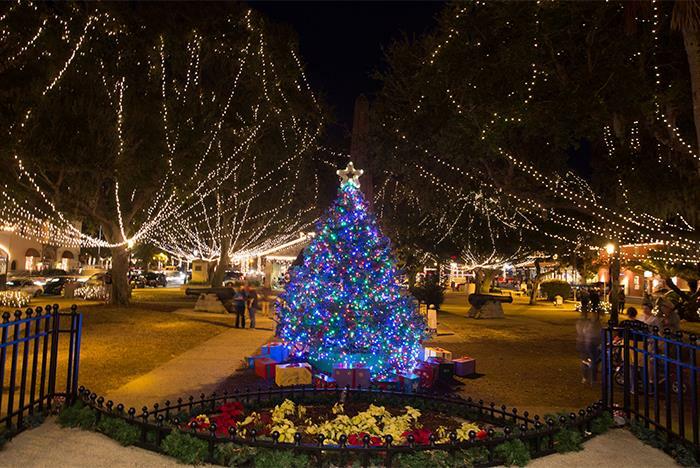 Guests of all ages will delight as St. Augustine’s historic district is transformed into a winter wonderland with more than three million white lights. This tour is a holiday tradition for thousands and is sure to become one of your favorite holiday memories. Guests will receive complimentary hot apple cider, homemade cookies and magical viewing glasses handcrafted by Santa's elves exclusively for our guests. These amazing glasses will enhance St. Augustine’s award-winning light display to twinkle and shine even brighter. 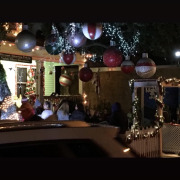 St. Augustine’s Nights of Lights has been voted one of the top 10 “Best Holiday Lighting Displays in the World by National Geographic” and has also received accolades from AAA Auto Club (as one of the 12 Favorite Places to Catch the Holiday Spirit) and the American Bus Association (as one of the top 100 events in the country). Vote for your favorite light display in this year’s 6th Annual Light Up the Night Contest. 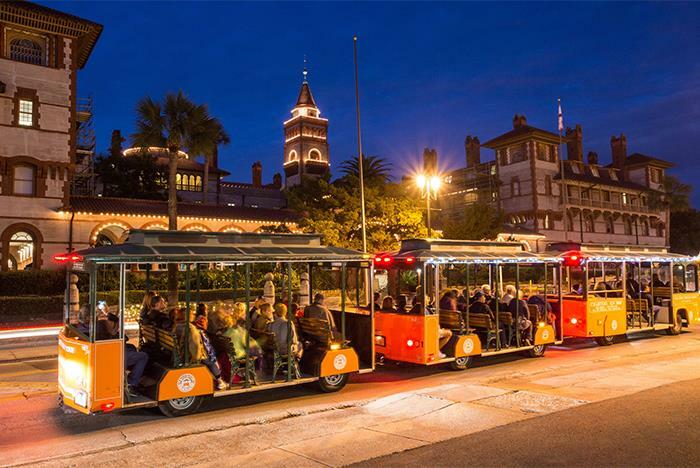 Guests of the Old Town Trolley will help to decide which three businesses will be awarded for having the best light displays in St. Augustine’s original Nights of Lights contest. Come share this experience with loved ones and make this your holiday tradition. Experience with reserve direct was spot on BUT website for nights of lights directed you to go to visitors center for shuttle to trolly. The shuttle does no run in January. VERY luckily we were able to find trolley lot and got the last parking space! Tip: Definitely spend the extra 2-3 dollars for the fast track boarding, we did not wait st ally! Our driver was Jamie and he was full of fun facts. He was so easy to listen to and sound was so clear. Told us the history of each location and gave us plenty of time for pictures. 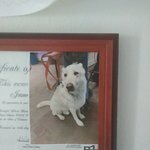 He made sure we knew when and where the stops were to enable our tour. The trolley was a great way to get around. We got there around 11:30am. Quite a few places were closed due to it being Easter Sunday but the place was beautiful all the same. We did a full trolley loop first without getting off. We lost time trying to get a meal at "The Columbia" which took about two hours of my time. The food was great but the wait meant we got precious little time after. At the end of our day we couldn't get a trolley back to the Visitor's centre but got a ride with Cintra who was fantastic !!!! "Easy way to get around"
The city was very crowded. This trolley was a great way to get around without being hassled with the traffic. The drivers were all entertaining. 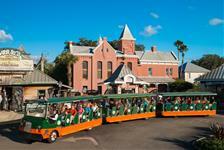 "Sight seeing in St Augustine on Old Town Trolley Tours." Love the hop on hop off option of the tour but found the seats on trolley very uncomfortable. Seats were hard and and back rest was too straight. They had great stops but sometimes it was difficult to understand the drivers commentary. This trolley is a convenient way to get an overview of the city and then return to the spots you want to visit. The drivers do a narrative as you go along. We had to wait excessively long at several stops which cut into our time to do the things we wanted to do. Would perhaps try a different tour line next time. When does the trolley operate? 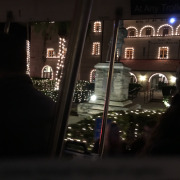 Trolley tours are available from November 18th through January 31st, 2019 from 6:00 pm to 9:00 pm each night. No. Reservations are not accepted or required. Tickets can be used on any operating day. Tours are approximately 30 minutes long. Where do the tours leave from? 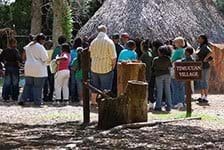 Tours depart from the Visitor Information Center located at 10 West Castillo Drive, St. Augustine, FL. 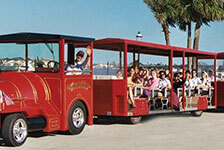 Old Town St. Augustine, 167 San Marco Ave.
Old Town Trolley Welcome Center, 1700 Ponce de Leon Blvd. Old Town Trolley Welcome Center, 1305 N. Ponce de Leon Blvd. Old Town Trolley Welcome Center, 27 San Marco Ave.
Old Drugstore/Potter’s Wax Museum, 31 Orange St.
Is there an age requirement for the trolley tours? No. Children under the age of 3 are free. Are the trolleys wheelchair accessible? The Nights of Lights queue is wheelchair accessible and guests can remain in their wheelchair or ECV while waiting. Currently, we have 5 wheelchair accessible vehicles in service that will allow guests to remain in their wheelchairs during the tour. To ensure we can accommodate your conveyance (wheelchair/scooter, etc.) please assure that the maximum weight of the rider, any cargo, and the conveyance do not exceed six-hundred (600) pounds and is no more than thirty inches (30”) wide and forty-eight inches (48”) in length. Guests with wheelchairs or ECVs that cannot be accommodated due to exceeding the maximum vehicle’s lift load or wheelchair area will be given the option of transferring to a seat while a CASTmember will move the wheelchair or ECV for the guest and will have it waiting for them at the end of the tour. If your wheelchair is collapsible and the guest utilizing it is ambulatory and able to use any of the seats provided on the tour vehicle, the wheelchair can be collapsed and stored on the tour vehicle. Old Town Trolley’s goal is to accommodate guests who aren't able to wait in a conventional queue environment due to a disability (including non-apparent disabilities). Guests should visit any Old Town Trolley CASTmember to discuss their assistance needs.